Personalised kids wall sticker showing a cute astronaut in his rocket blasting off to space to see the stars, from our collection of space wall stickers. 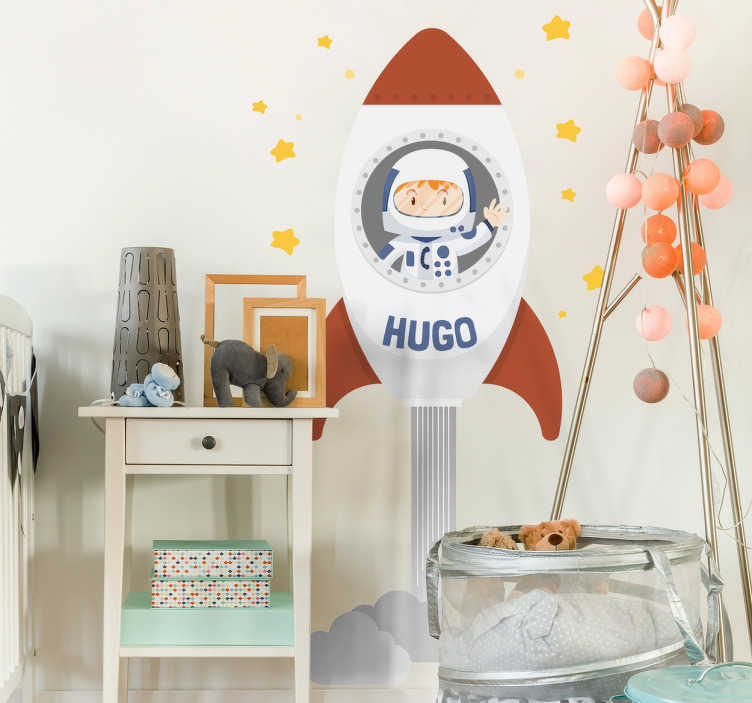 This personalised sticker allows you to put any name you like on the rocket allowing for a completely personalised look for your child's bedroom. Colourful cartoon design to bring some colour to the walls and put a smile on the little one's face.